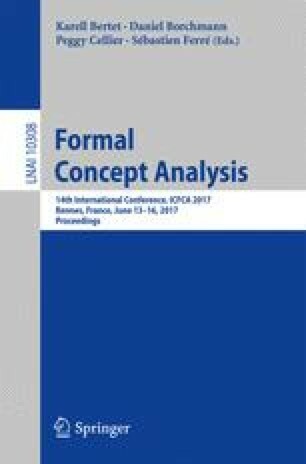 We revisit the notion of probably approximately correct implication bases from the literature and present a first formulation in the language of formal concept analysis, with the goal to investigate whether such bases represent a suitable substitute for exact implication bases in practical use cases. To this end, we quantitatively examine the behavior of probably approximately correct implication bases on artificial and real-world data sets and compare their precision and recall with respect to their corresponding exact implication bases. Using a small example, we also provide evidence suggesting that implications from probably approximately correct bases can still represent meaningful knowledge from a given data set. The authors of this work are given in alphabetical order. No priority in authorship is implied. Daniel Borchmann gratefully acknowledges support by the Cluster of Excellence “Center for Advancing Electronics Dresden” (cfAED). Sergei Obiedkov received support within the framework of the Basic Research Program at the National Research University Higher School of Economics (HSE) and within the framework of a subsidy by the Russian Academic Excellence Project ‘5-100’. The computations presented in this paper were conducted by conexp-clj, a general-purpose software for formal concept analysis (https://github.com/exot/conexp-clj).